NZV8 Issue No. 126 — big, green, and for sale! With daylight saving having just rolled around, we’ve now got an extra hour of sunshine and happiness to brighten the tail end of the day — and what better way to spend it than enjoying the latest issue of NZV8? Inside this issue you’ll find plenty of high-quality feature cars, with Lyndon Hakopa’s incredible Matamata Panelworks–built Ford Falcon ute — appropriately nicknamed ‘The Hulk’ — taking pride of place on the cover. The fully custom creation boasts incredible fabrication work throughout, as well as thoroughly overhauled suspension, brakes, and drivetrain. With a 460ci big block Ford crate motor, courtesy of Roush, pumping out well over 700hp, this beast is as tough as it looks. Mark Dufty’s flawless ’56 Chev Nomad is another work of art in its own right. Originally purchased out of the States as a vehicle appraised as being a solid ‘eight out of 10’, he quickly found that this was far from the truth. Rather than dwell on his misfortune, the skilled panel beater turned around and built the car into something far better than he even intended to purchase. On the less subtle side of things, we check out this tough pair of Toranas — the cars, owned by two mates (who also share the name ‘Dave’), are long-term builds for the both of them — they are often seen cruising through their town with their families in tow. Sure, one worked V8 sounds good, but two is another thing entirely — If only we could work out how to embed sound files into the magazine! Rods by Reid (RBR) is a name that carries a lot of weight not just locally in New Zealand, but overseas too. As one of the world’s finest crafters of high-end hot rods, you know that, should John ‘JR’ and Janet ‘Flick’ Reid turn their attention to building a car of their own, it’s going to be nothing short of extraordinary. We get a closer look at the (currently) bare-metal ’32 Ford pickup that RBR are building for Flick, and the incredible craftsmanship that has gone into its making — it is truly mind-blowing. Last, but certainly not least, is a blown big block–powered Impala, owned by another Dave. Since he was a teen, Dave Vea wanted to cruise around in a big block–powered American car, but we’re pretty sure he’d never have expected it to be a ’65 Chev Impala. With 920hp and endless smiles on tap, there’s no question that he’s now got his dream car. 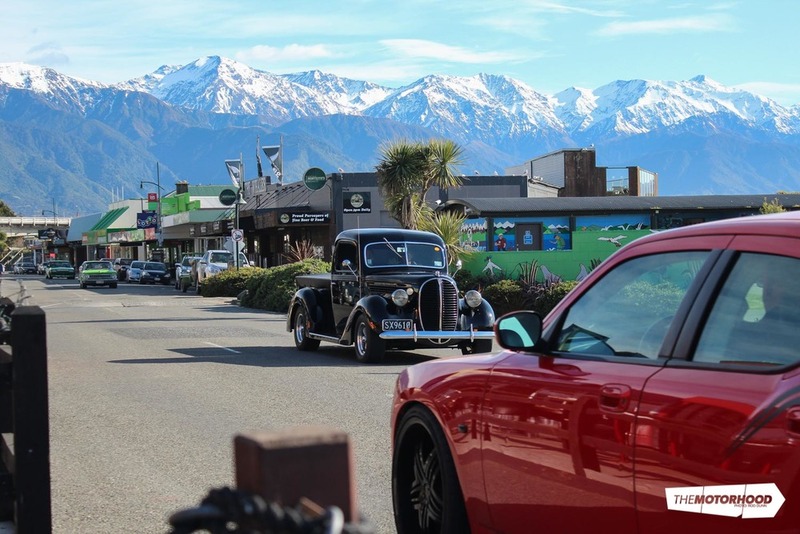 We also take a look at some of the events happening around the place, with the awesome Kaikoura Hop showing some of the best cars and scenery that the New Zealand event calendar has to offer. Despite the chilly weather, hundreds of people turned up to take it all in, and you can read all about this sweet event within the pages of NZV8 Issue No. 126. We’ve also got coverage of the big Repco Petrolheads @ Porirua show, which had all proceeds going towards a very worthy charity. With some of the lower North Island’s coolest cars in attendance, this was an event not to miss. Don’t stress if you did, though — we’ve got you covered! If you’ve been following Kevin Shaw’s Route 66 adventures in our last two issues, you’ll know that this marks the third and final chapter of his story. 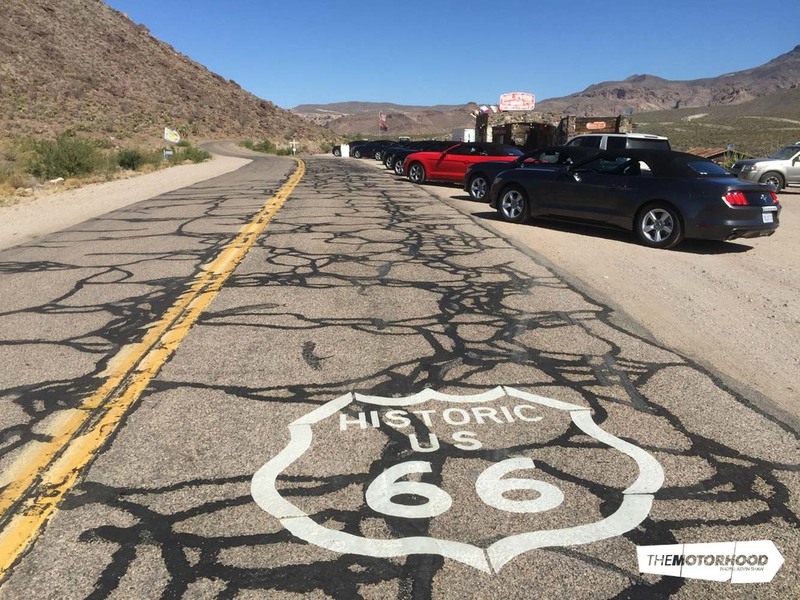 Keep posted on just what he did and saw while travelling down the USA’s most famous automotive route with Noddy Watts’ ‘Kiwis on Route 66’ tour group. The Route 66 feature isn’t the only one coming to an end, either — we’ve got the last of our three-part ‘Kiwis Abroad’ feature, and it’s a good one. If you don’t know, Kiwis Abroad sees us getting in touch with New Zealanders who have moved overseas and managed to make good on their automotive dreams — people like Robin Silk (So-Cal Speed Shop), Chris Morris (Showwheels), Chris Slee (Kiwi Classics and Customs), and Mellisa Boytim (NHRA Funny Car crew superstar). As far as tech goes, we’ve got some of that, too. In this issue, we look into the dark arts of mechanical fuel injection, and just how it works — for a reasonably simple concept, it gets awfully complex awfully quickly, so we’ve got a little bit of a rundown to get to the core of it. And, if you’re dedicated enough, you just can’t beat the looks, or the response, that a well-set-up mechanical injection system delivers. Of course, that’s just a taster of what we’ve crammed into this issue, so to get the full monty, don’t delay — head over to your local and scoop up a copy in exchange for a crisp $10 note. Or, even better, you can subscribe here and get every issue delivered straight to your door. Now, kick back, and spend your extra hour of daylight doing something you really want to be doing — i.e. not mowing the lawn.